Many moms want to provide their guests with a small thank you gift for attending their shower, but may be concerned about the eco-friendliness of some baby favors. These eco-friendly gifts may be just what you are looking for! Eco-friendly baby favors for your baby shower can ensure that you feel great about the gift you are giving to your shower guests. Your choice will help promote environmentally friendly gift-giving amongst your friends and family, and by purchasing these eco-friendly baby favors for your shower, you are not increasing your carbon footprint. 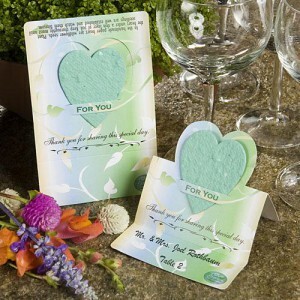 Seed packets are great favors to give if you want to go green at your shower. The entire packet is made from biodegradable materials, and each packet breaks down completely. This way, whether the packet is thrown away after use or buried directly into the ground, you don’t have to worry about waste materials sitting in a landfill for years to come. 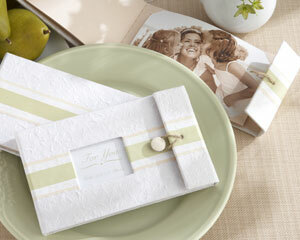 The seed packets can be personalized with mom’s name, baby’s name, the date of the shower, or the baby’s due date. You may even be able to print little poems on the outside of the packets. Animals, flowers, or other nature themes are often used in the packet’s design. The best part about giving these eco-friendly baby favors for your baby shower is that the gift keeps on giving, right back to the environment. Most of the packets contain either perennial wildflowers or tree seeds. Both perennials and trees will grow year after year, taking carbon dioxide from the atmosphere to turn it into oxygen. Also, as the plant grows each year, your friends and family will be reminded of your little one while they enjoy the beauty of your shower gift. Seed packets are probably the most popular types of eco-friendly baby favors, but there are others to choose from as well. Photo albums made from recyclable materials, photo frames, and kitchen utensils can all be considered eco-friendly, as long as you are certain that they will be used. 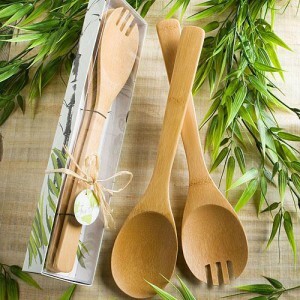 In general, any utensil or mug that can be used over and over can be a great green gift. When trying to decide on eco-friendly baby favors for your baby shower, the best approach is to consider what your guests will most likely use and enjoy. This entry was posted in Eco-Friendly Baby Favors. Bookmark the permalink.